Mitarbeiter des LEG sind regelmäßig an Planung und Durchführung von internationalen Expeditionen mit deutschen Forschungsschiffen beteiligt. Im Juni 2018 sind wir mit der RV Sonne, dem modernsten deutschen Forschungsschiff auf Ausfahrt im Gebiet Fidschi-Tonga. Oceanic island arcs probably evolve through different tectonic stages that are marked by the formation and eruption of different magmatic rocks. Boninites have a peculiar geochemical composition reflecting partial melting of highly depleted mantle and are believed to be typical for the early stages of island arc evolution. 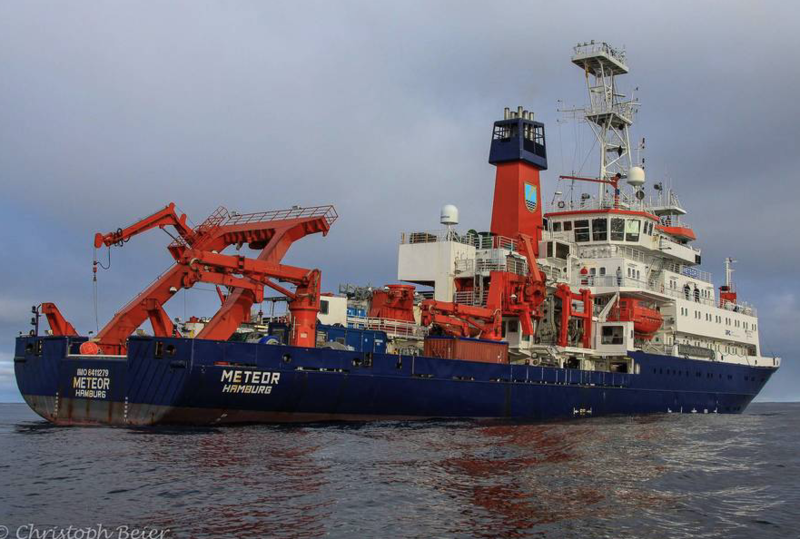 The main objectives of the proposed project are sampling of shallow crustal profiles at the NE Tonga Ridge and Lau backarc basin where boninitic lavas appear to be very abundant in order to establish the stratigraphic situation of these boninites. Lavas from the N Tonga volcanic islands have unique compositions reflecting very strong depletion of the mantle wedge and re-enrichment by fluids from subducted seamount lavas, whereas some backarc lavas indicate influence of mantle plume material, possibly from Samoa. The Niuatahi volcano is surrounded by young lava flows and volcanic ridges that reach to the NE Lau spreading centre and the abundant on- and off-axis lavas allow studying the magma generation and mixing processes from the arc front to the backarc. We propose to study the composition of the NE Tonga volcanoes to better define the different sources and the implications for mantle and melting dynamics in a subduction zone. The recently active volcanoes in the NE Lau backarc and NE Tonga arc show highly variable hydrothermal venting and thus offer a natural laboratory for the study of the effects of magma degassing on hydrothermal fluid and precipitate composition. We suggest sampling of different vents related to different magmatic structures in order to test models of the effects of varying magmatic volatile input and water depth on the fluids. Rifting of arc crust may host large hydrothermal systems with the potential of forming large mineral deposits of economic relevance. The highly variable structural and magmatic conditions across arcs into the backarc environment provide a unique opportunity to investigate a large diversity of magmatic and hydrothermal systems (e.g., Hannington et al., 2005). Here, we aim at quantifying both the changes in the melting regime (physical conditions, melting and mantle sources) in the transition from arc front into backarc and the impact on metal potential. A direct contribution of magmatic volatiles to (ore-forming) hydrothermal fluids is known from island arc volcanoes but the general links between oxidation state, sulphur saturation and magmatic degassing on metal behaviour in silicate melts are still a matter of active debate. Jenner et al. (2010, 2015) pointed at the importance of the onset of magnetite crystallization for sulphur saturation and thus chalcophile element behaviour. However, their magnetite crisis may be restricted to specific physicochemical circumstances (such as closed system behaviour, oxidation state and melt composition etc.) and needs to be investigated in different magmatic systems (e.g., arc to backarc transition) and spatial resolution. 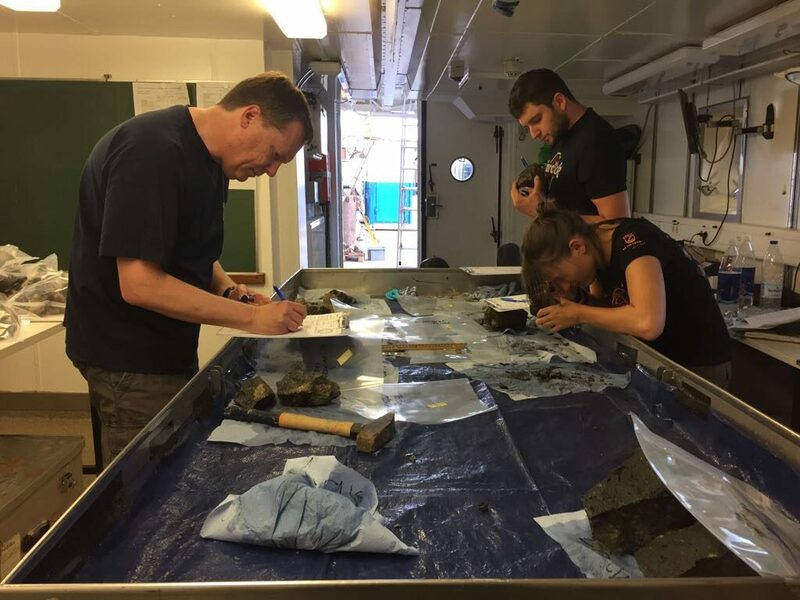 Here, we are aiming at disentangling the influence of mantle sources and melting on the metal enrichment in melts and volatiles and the geological framework of pathways for melts and volatiles at a scale that is relevant to resource exploration. 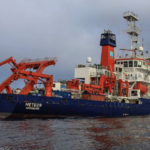 This project consists of two sub-projects, one with an emphasis on mantle sources, melting conditions and magmatic differentiation providing the basic framework and the other focused on seafloor geology (ascent paths and geodynamics) and the distinct behaviour of metals (especially Cu, Au and the so-called critical metals) and volatiles (H2O, CO2, Cl, S) in the melts. However, these two projects are closely linked (especially through the aspect of magma evolution), requiring close collaboration and frequent exchange. 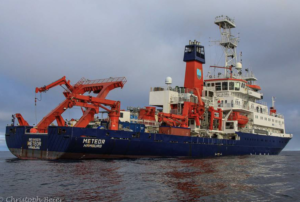 The focus of this study will be on the Tonga-Kermadec subduction system, where extensive sample material is readily available and two additional research cruises have been recently approved (ARCHIMEDES I and TongaRIFT). Dr. Andreas Audetat Bayerisches Geoinstitut, Universität Bayreuth: Die Genese porphyrischer Kupfer- und Molybdän- Lagerstätten: herkömmliche Modelle und neue Erkenntnisse. Montag, den 20.11.2017 um 17:00 Uhr s.t.